Anthony Gonzalez brought his M83 project to Canada as part of a North American tour just last month, but the epic-minded Frenchman is already plotting another round of dates. Following winter excursions to Europe and Australia, he'll make his way back across the U.S. and Canada in the spring. Just like last time, the bulk of the dates are in the U.S., but there are also a couple of Canuck shows to keep us northerners satisfied. He'll be coming to Vancouver's Vogue Theatre on April 27 and Toronto's Sound Academy on May 5. Clearly all his hard work is paying off, since these are bigger venues than last time around. Peruse the schedule below, and scroll to the bottom of the page to watch Gonzalez bring his epic sound to Late Night with Jimmy Fallon. Also, head here to read Exclaim! 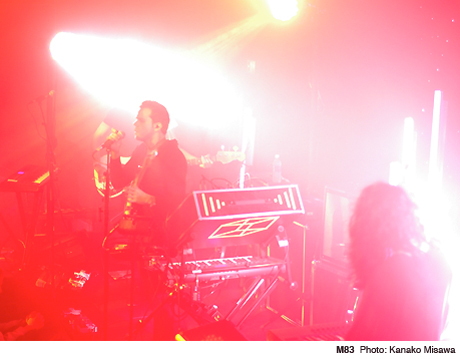 review of M83's last Vancouver show.